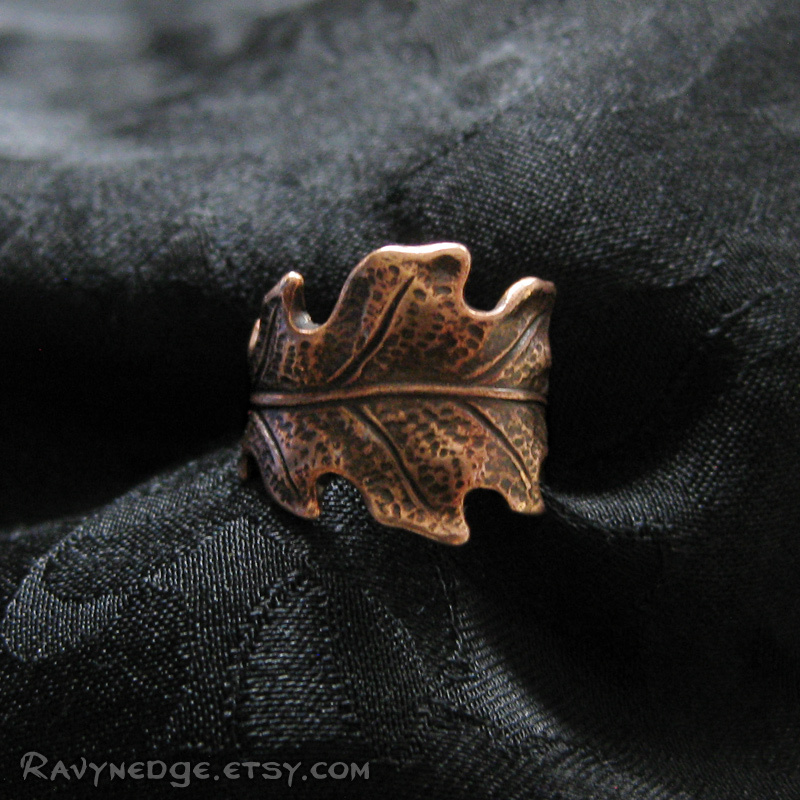 Druid's Treasure Ear Cuff - Oak Leaf Concha Ear Cuff by RavynEdge. Need help with your ear cuff? Wearing instructions and tips are here. For the druids and many other cultures, the mighty oak is revered for its endurance and noble presence. Among other things, it symbolizes strength, longevity, wisdom, honor, nobility, and power. To wear oak leaves was often a sign of special status. 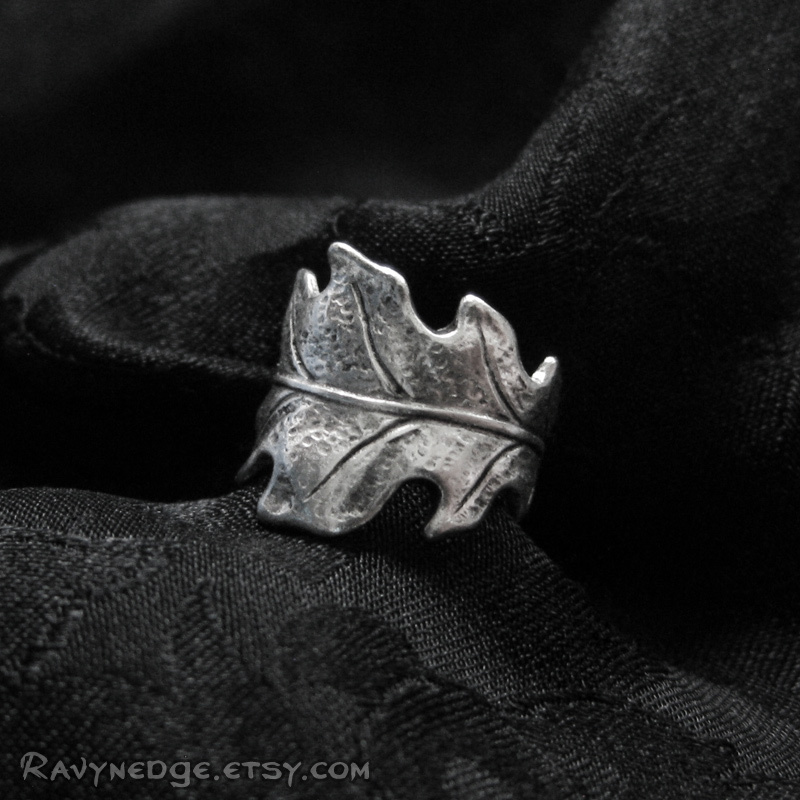 A distinctive silver oak leaf stamping was hand formed by me to fit most ears. 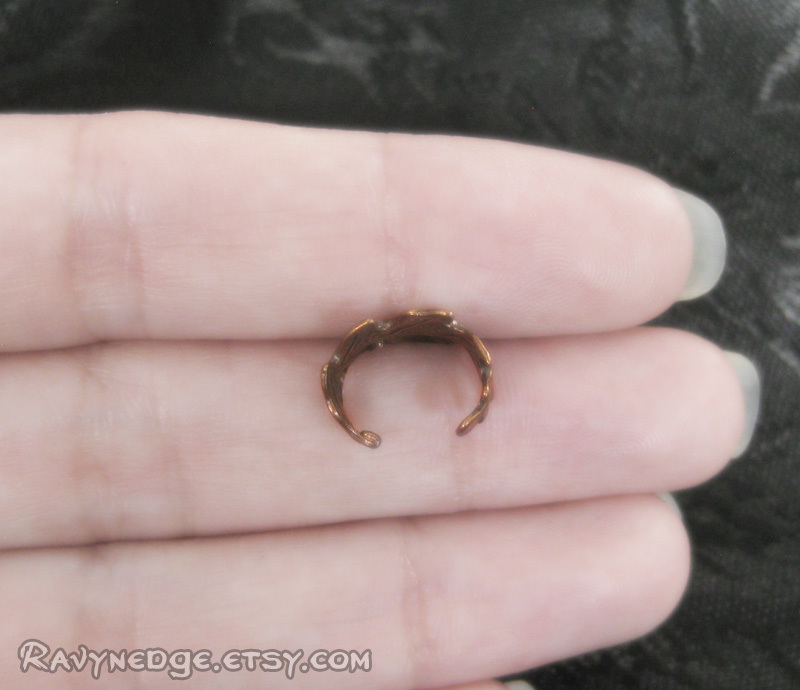 Measures approximately 11mm in width and 10mm in diameter. 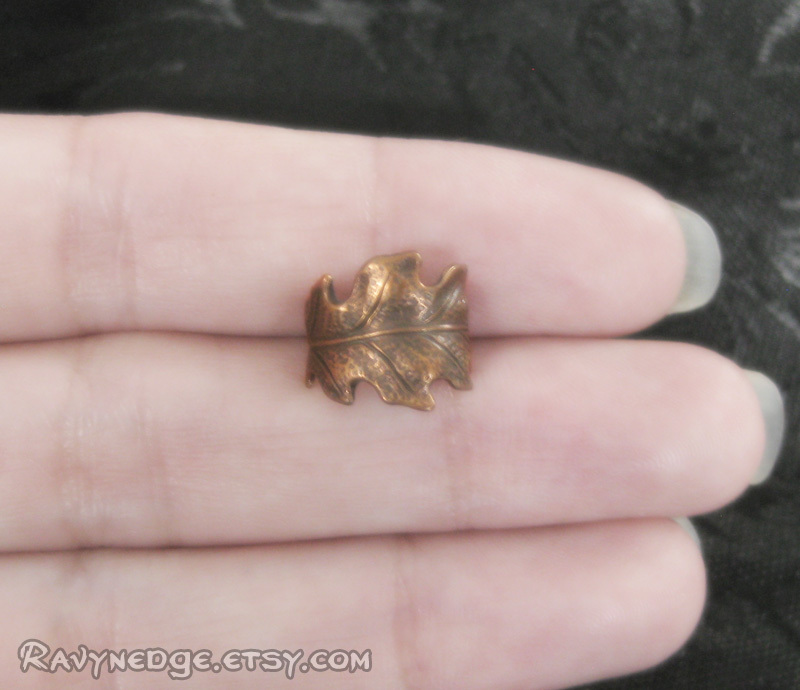 Copper - Oxidized copper plated brass. Silver - Oxidized sterling silver plated brass. 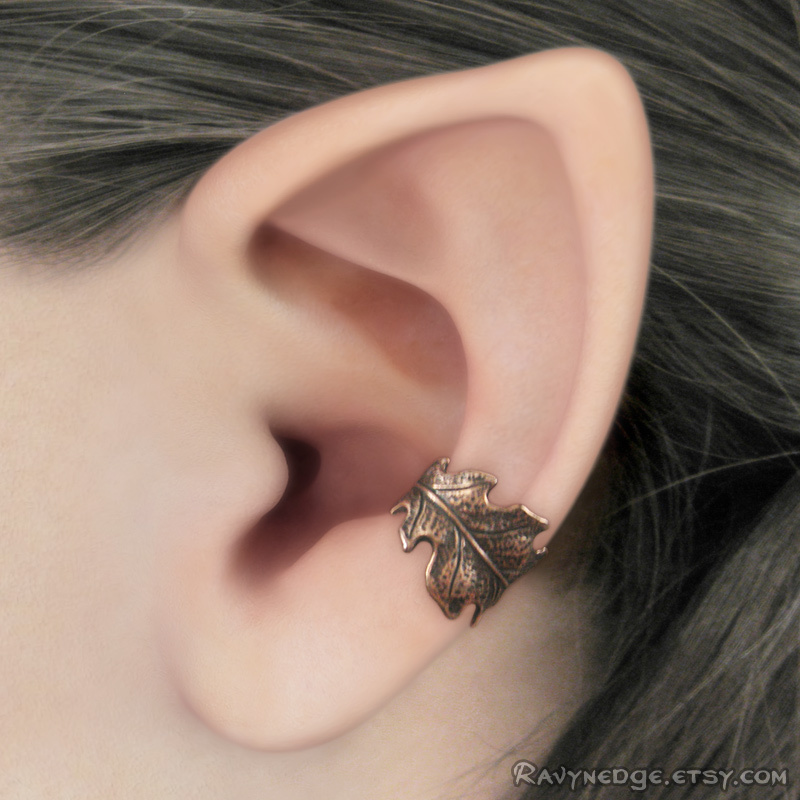 This ear cuff which can be worn on either ear. Needs no piercings, simply slide it onto the outside of your ear. Made to sit in the concha of your ear. You can adjust the cuff by squeezing it tighter or pulling the gap wider. Extremely comfortable!